« The Avery’s of Willow Creek Boxset – .99¢ Sale! Tucked away at the base of a Montana mountain is the tiny frontier town of Silver Falls. With fur trappers, hard-working cowboys, ladies as sassy as the sky is wide, and an eccentric old Scottish Highlander who always has a story to tell, there’s never a dull moment. Head back to the 1800’s in this brand new historical western romance series. Running away from home to marry the man she thought was the love of her life should have been the happy ending Victoria Stanford expected it to be, but things rarely work out as one plans. When her husband suddenly dies and leaves her stranded in the middle of nowhere, alone and scared, she thinks she’s saved when she sees three men headed her way. Relief turns to fear when she realizes they weren’t the type of men a single woman should trust. When they chase up the side of a mountain and overtake her, she does the only thing she can. She screams and hopes they kill her quickly. Gideon Hart has spent the last six years roaming the mountain after tragedy changed his life forever. Since then, he’s never encountered another living soul other than his brother—until now. The scream he hears echoing through the trees brings back memories he’s been trying to forget. When he finds a woman being attacked, he does what he has to in order to ensure her safety. 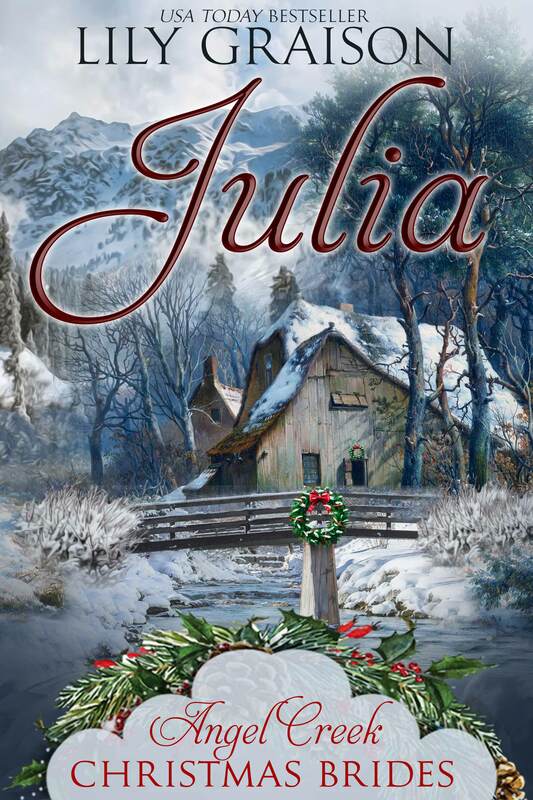 Getting her to town should be his only concern but the trek across the mountain with Victoria causes his world to shift and for feelings he’s denied himself for too long to surface. He doesn’t deserve to be loved. With a past like his, no one would love him once they found out what he’d done. 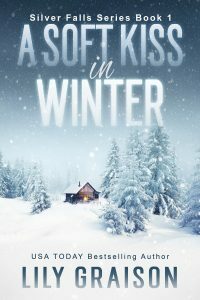 Getting Victoria to Silver Falls is the only way to save them both but as the nights grow longer and winter settles in over the mountain, one soft kiss may change both their lives. 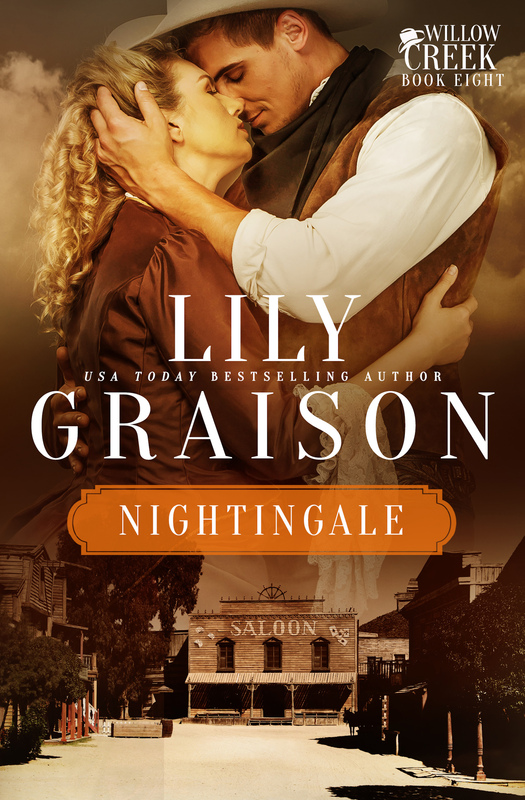 Lily Graison is a USA TODAY bestselling author of historical western romances. 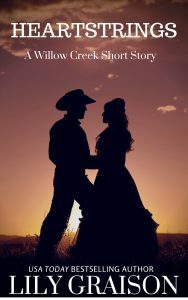 Her Willow Creek Series introduced readers to a small Montana town where the west is wild and the cowboys are wilder. Lily also dabbles in contemporary and paranormal romance when the mood strikes and all of her stories range from sweet to spicy with strong female leads and heroes who tend to always get what they want. She lives in Hickory, North Carolina and on occasion can be found at her sewing machine creating 1800’s period clothing or participating in civil war reenactments and area living history events. When not portraying a southern belle, you can find her at a nearby store feeding her obsession for all things resembling office supplies. To receive email notification of new blog posts, enter your email address in the form below.